I’ve been busy lately, immersed in writing about my experiences of Chinese postpartum confinement to finally finish a book I have been writing for three years. And it is taking me back, back, to my days in Taiwan and my favourite snack foods. One of my favourite guilty snacks at night markets is Taiwanese pepper buns (胡椒餅). Slightly crispy on the outside, I would bite in to discover a juicy meat mixture with a strong pepper aftertaste for some bite. My favourite were the famous ones at the Raohe Markets, in front of the ornate Ciyou Temple. I was always secretly a bit scared of the Ciyou Temple; I am not sure why, I think it was just because there were so many deities there and they all seemed so old and unwelcoming. There was also a good streetside pepper bun stall that often that operated afternoons outside of the Songjiang/Nanjing Road MRT station. I ate more than I ought to from that stall: they were seriously good. Pepper buns are cooked in a big gallon drum, somehow the cooks manage to cook them on the inside of the drum kind of it like a tandoori oven. 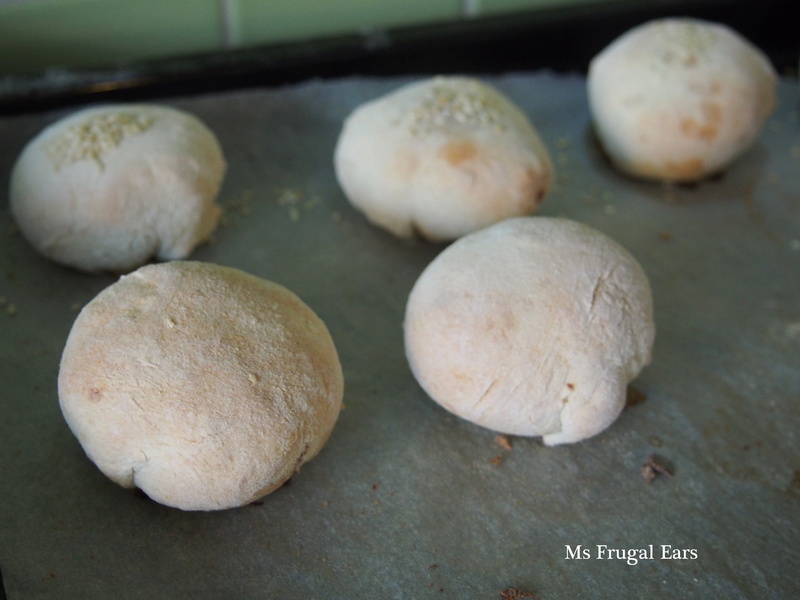 I don’t know how they do it, but I know that the buns emerge tasting somehow Taiwanese yet almost South Asian. I tried to see if I could use my Ta-tung electric cooker in the same way, but sadly it didn’t work so I used the oven instead. It works fine, but not quite the same somehow as the gallon drum version. I adjusted the pepper seasoning down a bit in this recipe, but feel free to add more to suit your taste. Add around 50ml of the water into a breadmaker and cover with the remaining dry ingredients. Select the dough setting. 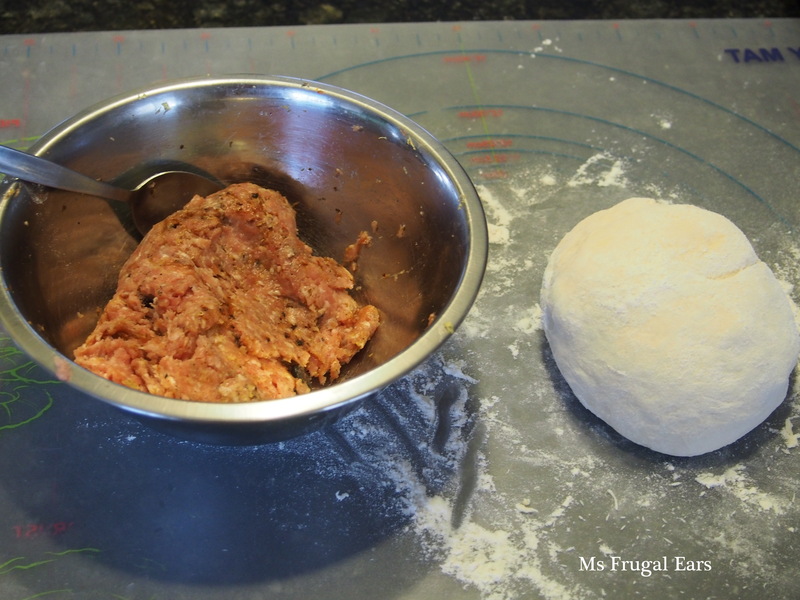 Gradually add more water until the dough is of a pizza-like consistency. Allow to mix and rise for around 30 minutes. Meanwhile, prepare the meat mixture by combining all ingredients together. I like to stir the meat mixture in the same direction. Roll out the bread mixture into a long log, then cut into around twelve pieces. Take one piece aside, and cover the rest with a tea-towel. Add some mixture to the centre of the bread dough and fold up to close. Place fold side down on an oven tray. I find that they puff up high in the oven, so I like to squish them flat. 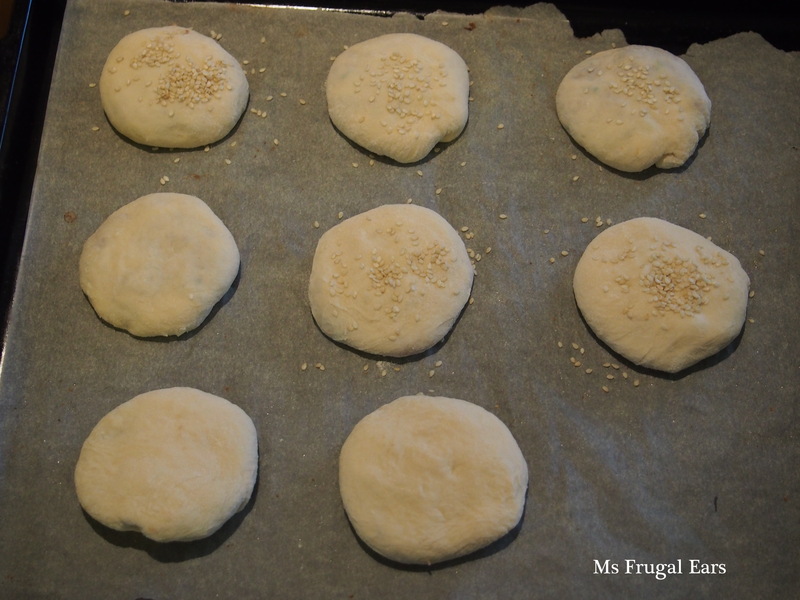 Brush the tops with water and coat with sesame seeds. Bake in a hot oven at around 160C until brown on top. No worries. If you make them please let me know. I would love to hear how it worked. Thank you Rosemarie. I like them a lot as well.